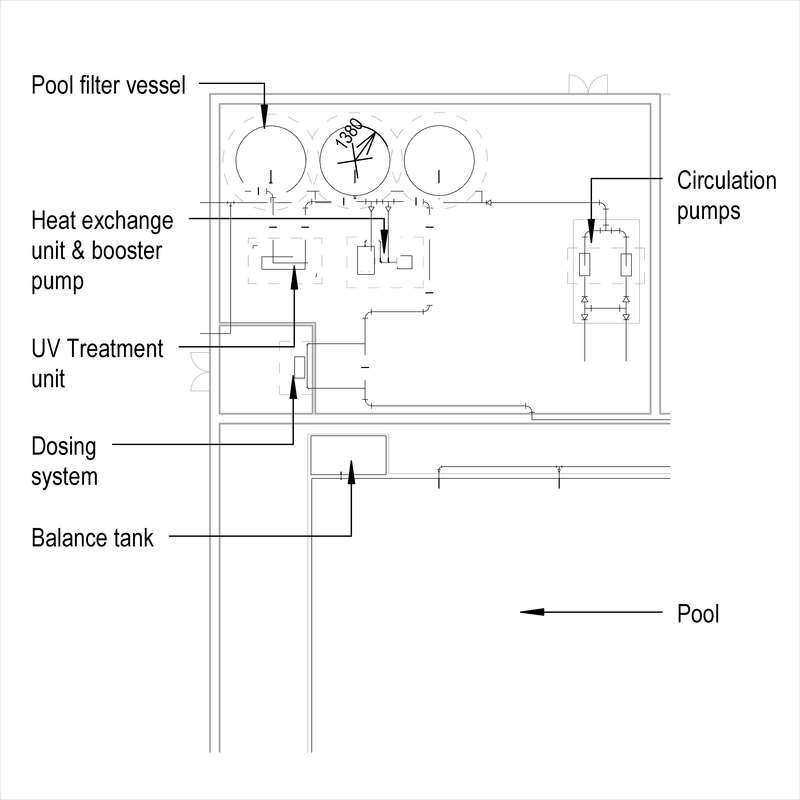 A pool water treatment system typically comprises of items such as pool type, location of pool and use. 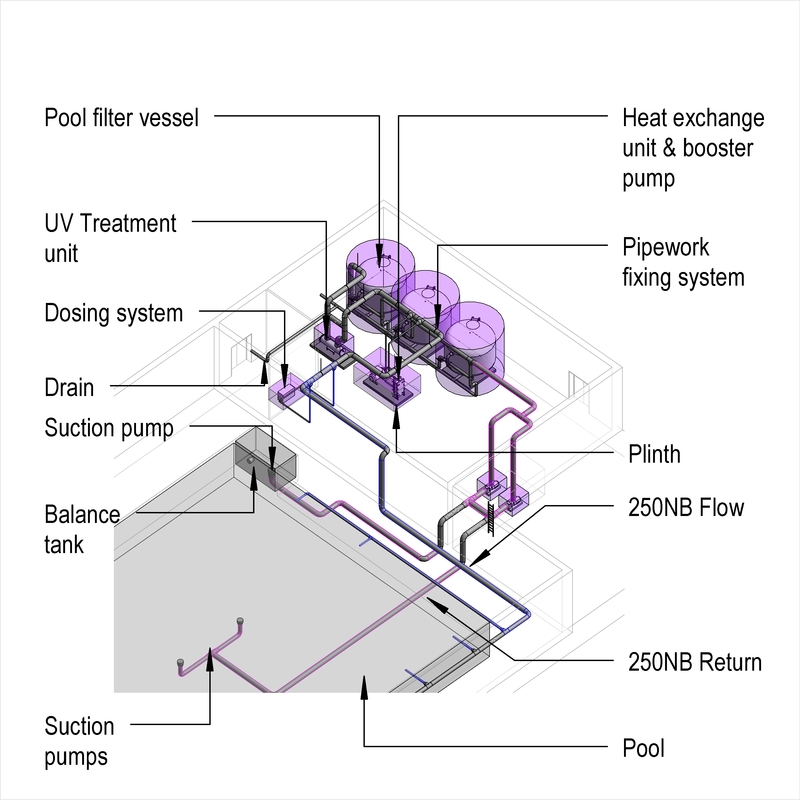 Complete this electronic spreadsheet to ensure that your Swimming pool water treatment systems product information meets the requirements of Level 2 BIM. This is important as it will enable your customers to select, specify and use your products within the BIM environment. Once you have completed this template you can host it on your own website or distribute it to your customers. Please note that we do not host completed product data templates within the BIM Toolkit. 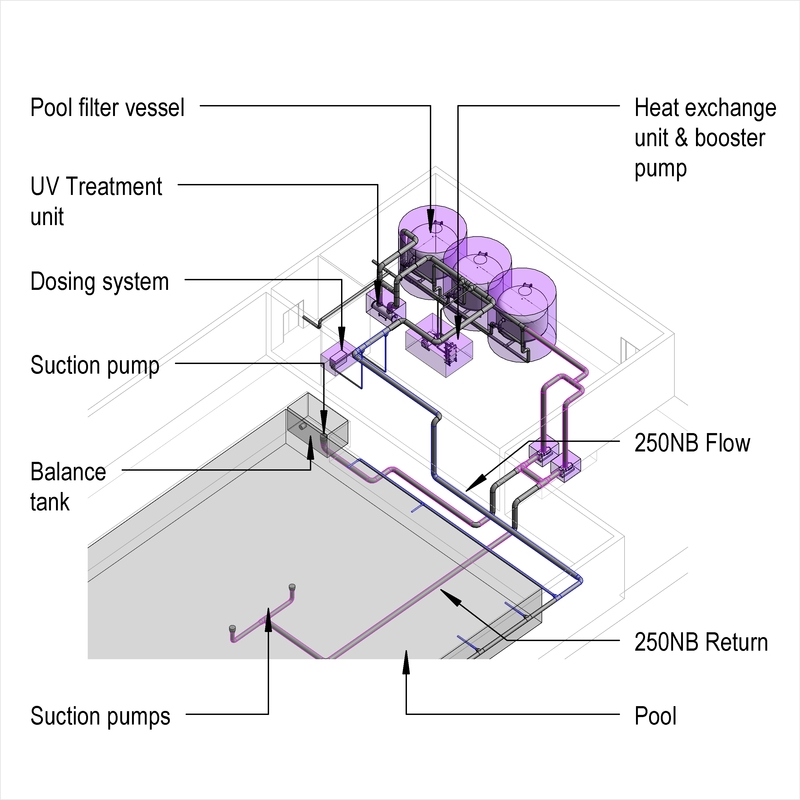 The above illustrations are for Swimming pool water treatment systems from the NBS section Swimming pool water treatment systems. 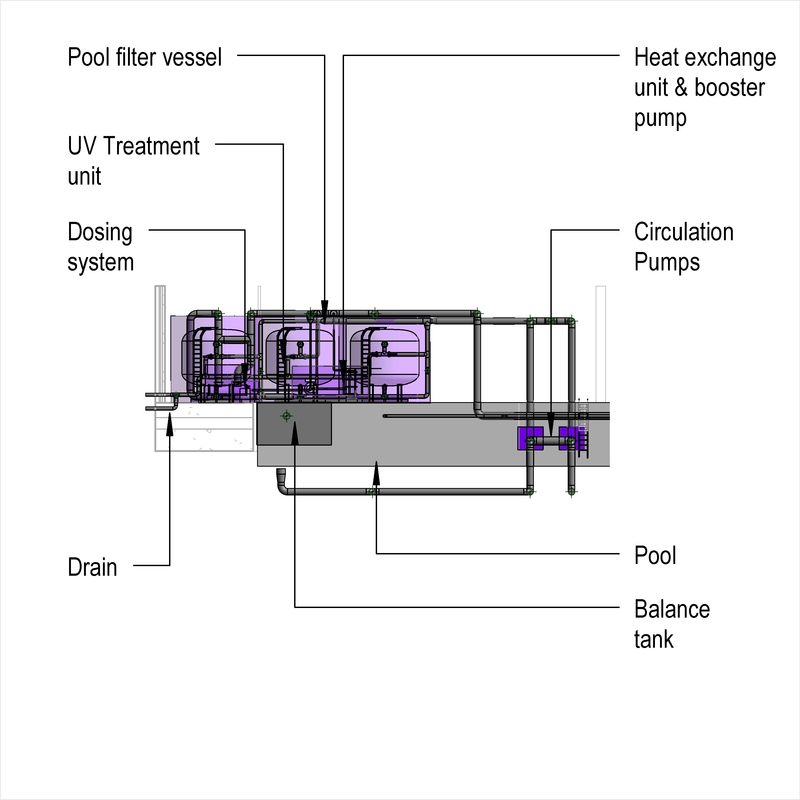 This is indicative of the LOD requirements for Swimming pool water treatment systems. 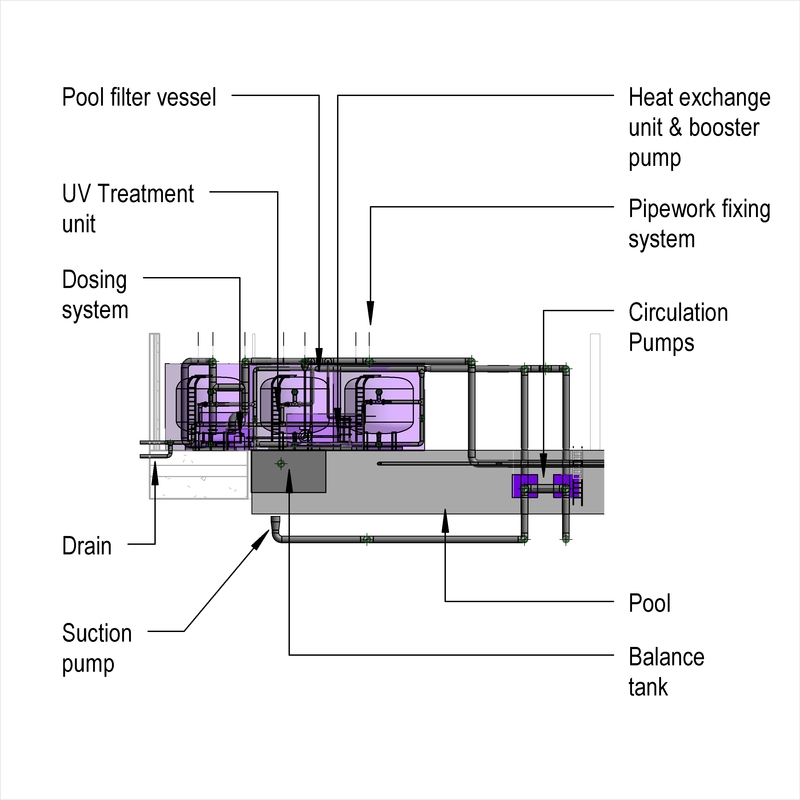 Design of swimming pool water treatment systems Design and Design information. Swimming pool Pool type, Location of pool and Use. 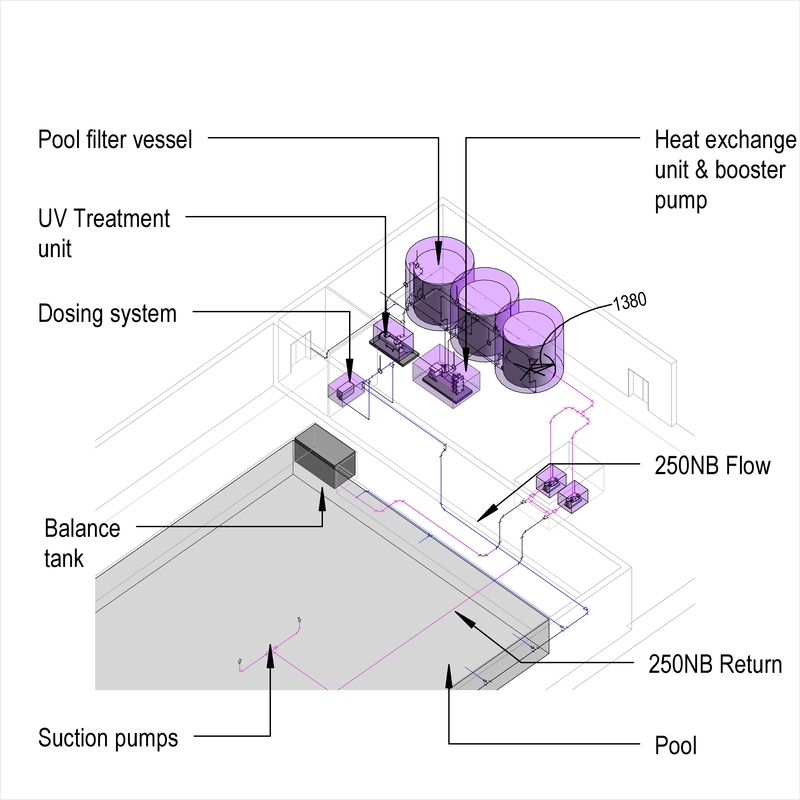 Design parameters for swimming pool water treatment systems Pool dimensions, Bathing loads (maxima) and Instantaneous bathing load. Pool circulation in swimming pool water treatment systems Pool suction pipe bore, Pool delivery pipe bore and Delivery to each end of pool pipe bore. Make-up tank Products such as Glass reinforced plastics cisterns. Balance tank Products such as Glass reinforced plastics cisterns. Pipeline accessories - Venting devices Products such as Automatic air vents. Pipeline accessories - De-aerators Products such as Pressure differential de-aerators. Pipeline accessories - Separators Products such as Centrifugal air separators. Valves - Isolating valves Products such as Cast iron gate valves. Circulation pumps Products such as Belt driven end suction pumps. Flow meters Products such as Differential pressure flow meters. Strainers Products such as Basket strainers. 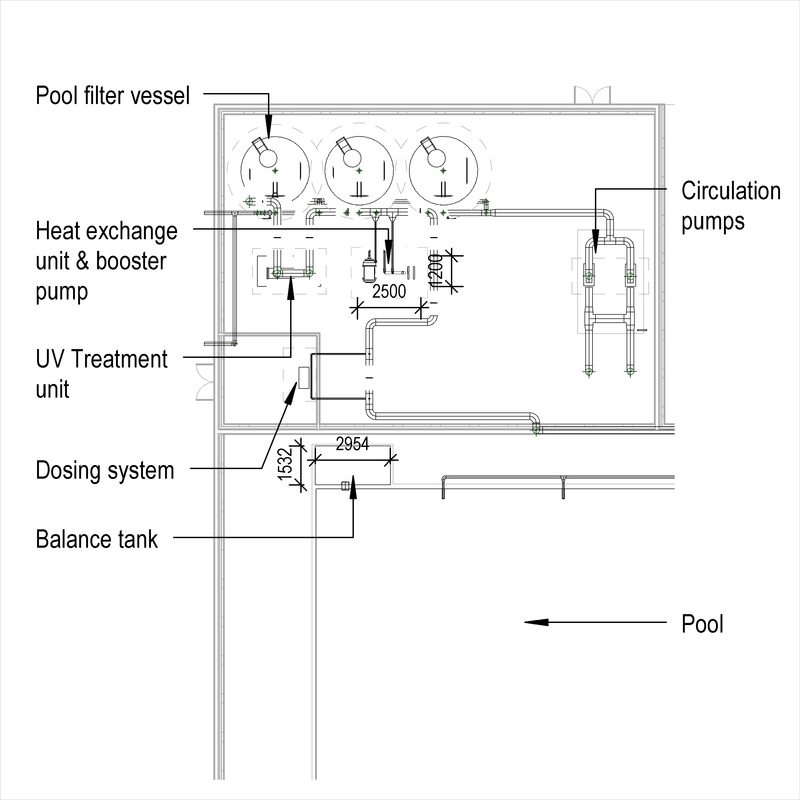 Dosing units Products such as Alkalinity dosing units. Filters Products such as Basket filters. 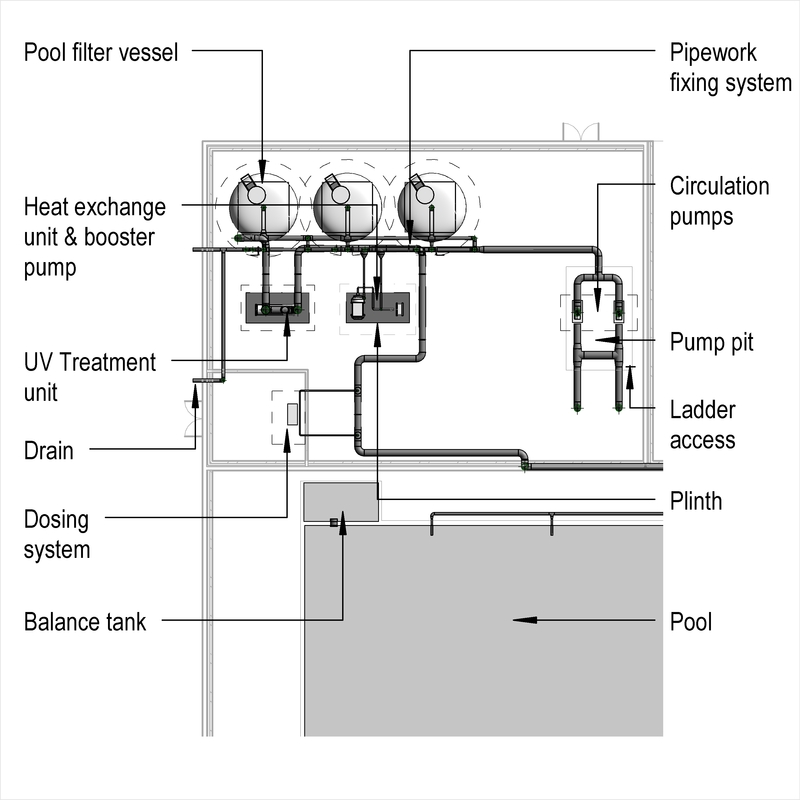 Pool water inlets and outlets Products such as Pool water inlets and outlets. Controls The Controls of the Swimming pool water treatment systems. Sensors Products such as Disinfectant sensors.